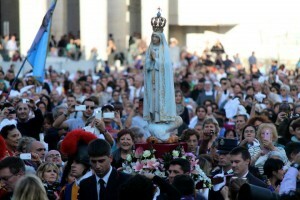 We are at the anniversary of the final apparition of Our Lady of Fatima in 1917. We know of the Pope’s profound love of the Blessed Virgin Mary (a common trait of the last Popes). Here is a booklet on Our Lady of Fatima. 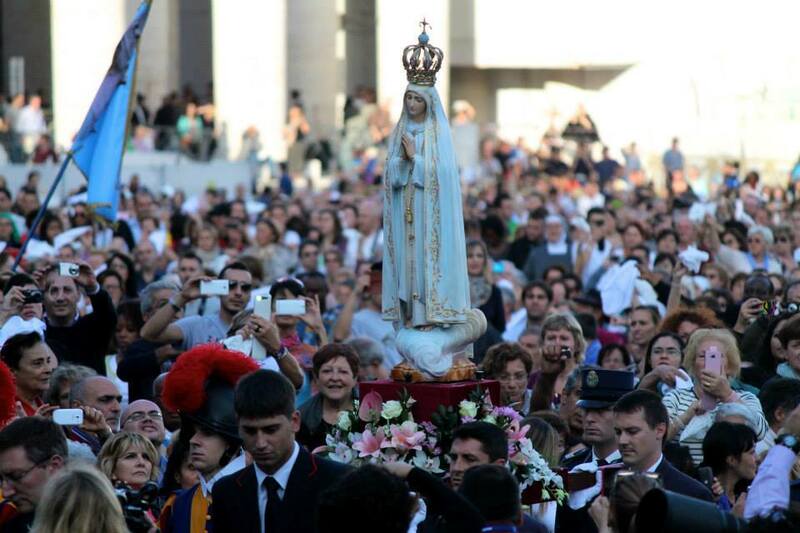 Yesterday and today in Rome the Church and the world were consecrated to the maternal protection of the great Mother of God, Our Lady of Fatima. The homily for today’s Mass the Pope hits on some well known themes: gratitude, remembrance, God surprises, our reliance on God, openness to the Divine initiative and trust. Put together we have a vision of what our life ought to be like: a Yes to the Lord in ALL things. Mercy is available. Do we ask for mercy? We have a busy liturgical day. The feast of Saint Thérèse of Lisieux (the Little Flower) and the Slavic Byzantine Church honors Mary under the title the “Protection of the Theotokos.” AND we need her protection!!! Scripture reveals that Mary, the Mother of Jesus, stood by the cross as her son died. This was foretold by Simeon in the Temple when Jesus was presented there. 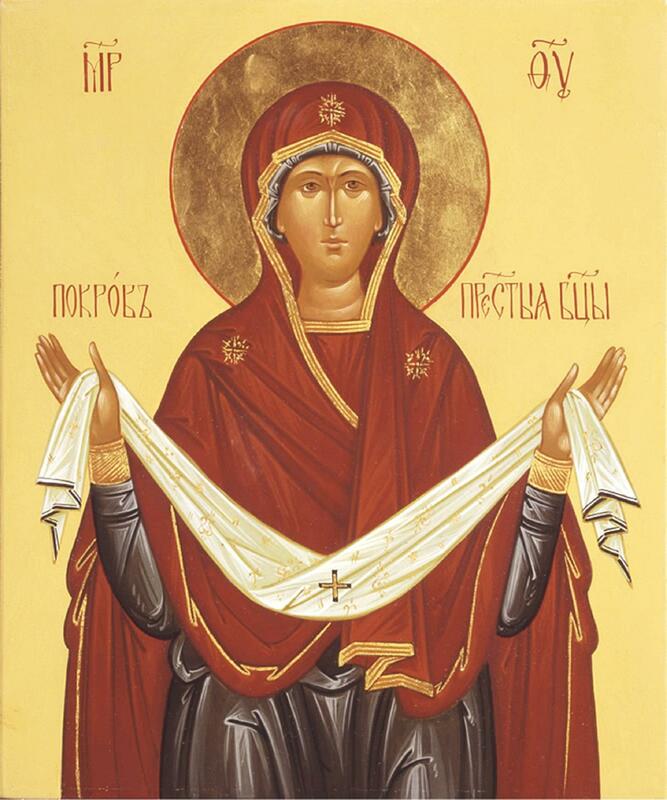 Hence, this feast acknowledges Mary as a martyr because of the intense pain of the sword piercing her heart. As you would expect, how could a mother not be with her son as he died? Her humanity was closely united to that of his. 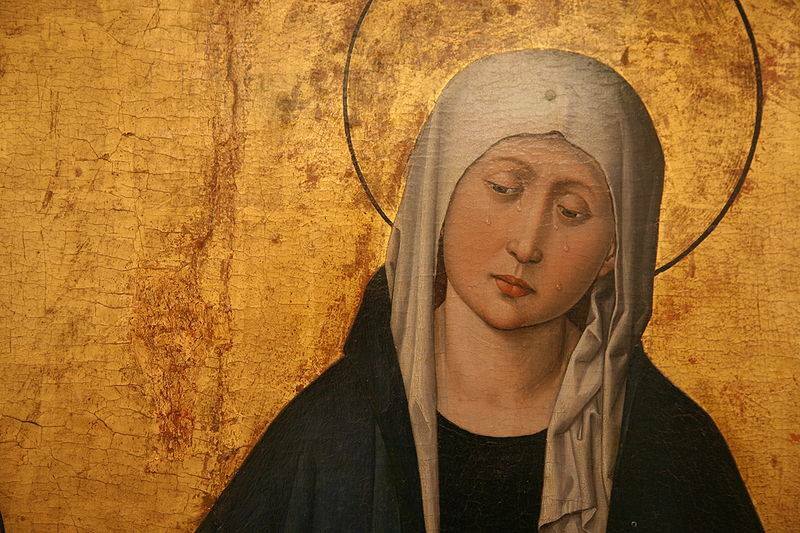 Grasping the seriousness of this event gave way to the incredible composition of the sequence of Stabat Mater. Most parishes don’t sing this poetic text any longer but it used to be sung on this feast day and on Good Friday. Sometimes you’d hear it at the Stations of the Cross. If you are not familiar with the rosary devotion of Seven Sorrows of Mary you will want to visit this site. This devotion has its roots in the 12th century and was made extraordinarily popular in the 13th. 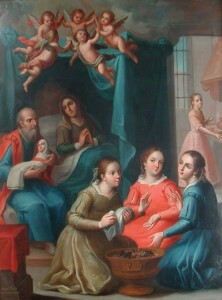 People like Saints Anselm and Bernard advocated this form of the rosary; the Benedictines, Cistercians and then the Servite friars took up the devotion to the Seven Sorrows of Mary. 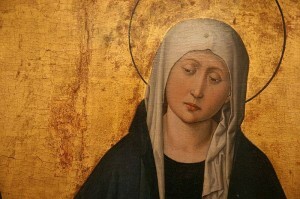 The feast of Our Lady of Sorrows was placed on the Roman Calendar by Pope Benedict XIII in 1727 and observed on the Friday prior to Palm Sunday; at the revision of the liturgical calendar the feast moved to this date. But the feast does have a variety of observances in other parts of the Church. This is yet another truly Benedictine feast as it draws us to the foot of the cross. Given yesterday’s feast of the Exaltation of the Cross, today gives us the perspective of the mother. Mary’s sorrows have become our own sorrows; this is a reasonable feast that recognizes as concrete the place of sorrow in our experience. But sorrow is not the final chapter in this life: sorrow gives way to peace and joy. I am thinking of the mothers who have lost a child to all sorts of circumstances (sudden death, miscarriage, addictions, murder, war, abortion). Saint Benedict and his sons and daughters help to point the way to salvation in Christ through the cross. The great Cistercian abbot Saint Bernard directs our thoughts and prayer in the following homily. Happy is thy stock, holy thy root, and blessed thy fruit, for thou alone as a virgin, filled with the Holy Ghost, didst merit to conceive thy God, as a virgin to bear Thy God, as a virgin to bring Him forth, and after His birth to remain a virgin.